MBNA Canada has launched Apple Pay today for their MasterCard users, after long teasing support would arrive in June. 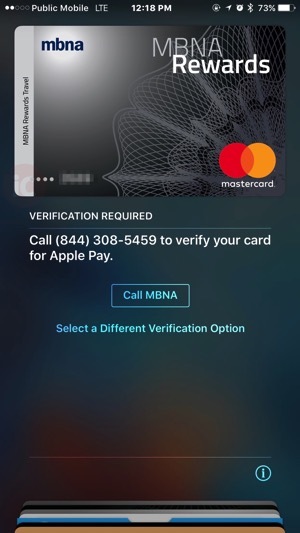 If you try adding your MBNA MasterCard to your iPhone, it will ask for verification by phone (in our case). After an automated verification process, we finally made it to a human agent, where we were asked to confirm the last four digits of our card, name, telephone, address and credit limit. 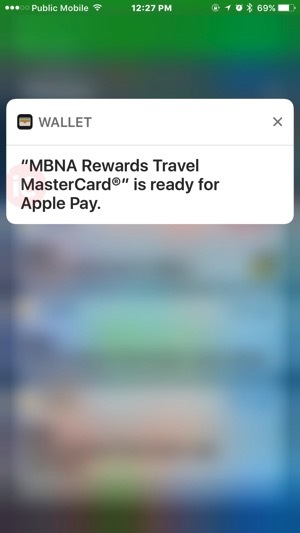 Let us know how your MBNA MasterCard (or Visa) works for you with Apple Pay!